Video: 5 Reasons Why The Huawei P10 Plus Could Be The New Phone To Beat? 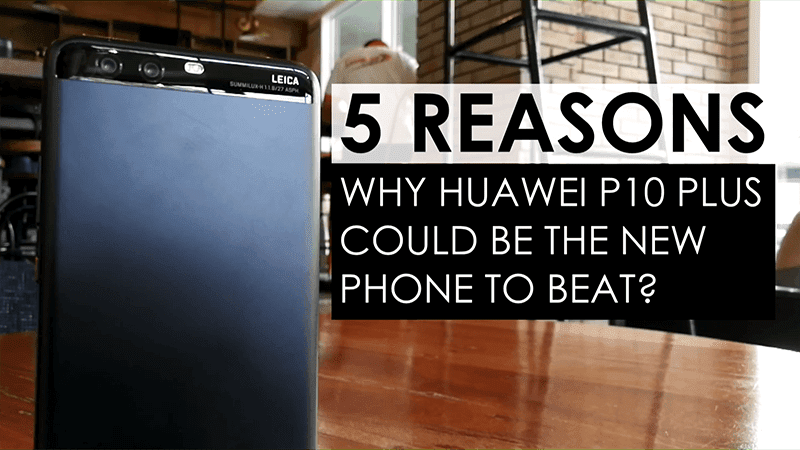 Home / huawei / mobile / video / Video: 5 Reasons Why The Huawei P10 Plus Could Be The New Phone To Beat? No doubt, the new Huawei P10 Plus has one of the most impressive specs on paper today. But, what are the features that made it #Standout among the rest? Is this the new smartphone to beat? 5 reasons why the Huawei P10 Plus could be the new phone to beat? 1. High-end style, 5.5 inch QHD LCD - This is a sleek and slim metal clad handset w/ Hypercut Diamond-Cut" finishing for prevent scratches. It also has a sharp type of 5.5 Inch WQHD IPS-NEO 2560 x 1440 resolution screen w/ 2.5D curved glass and Gorilla Glass 5 protection at 534 ppi. It has the ability to produce the most natural looking colors that even pro photographers will like. 2. Kirin 960 chip and deep learning AI - The Kirin 960 octa core processor is arguably the most efficient chipset or processor today. It's even paired with Mali G71 GPU to handle heavy graphics with ease. Also, its paired with Android 7.0 Nougat OS w/ EMUI 5.1 skin that has the deep learning AI tech. It's designed to keep your phone fast all the time. 3. Huge 6 GB RAM + 128 GB storage - This is the biggest RAM and expandable ROM combination you can get from any flagship smartphone under PHP 40K in PH today. It simply means that you can load a lot of apps all at the same time and store numerous apps, files, and games. 4. Big battery + Super Charge - 3,750 mAh is LARGE for a 5.5 inch phone. It can give you enough juice all throughout the day. Also the 5A Super Charge tech is a safe type of quick charge solution that can full charge your phone in 1 hour. 5. Triple Leica Cameras - Leica Dual Camera 2.0 Pro Edition (20 MP f/1.8 monochrome sensor + 12 MP f/1.8 RGB sensor w/ 4-in-1 Hybrid AF, OIS, 2x zoom, and dual tone LED flash) behind and another Leica powered 8 MP f/1.9 aperture w/ wide angle lens, AF, and screen flash selfie camera. What it can do? Shoot outstanding photos w/ better sharpness, tonality, clarity, and wider dynamic range. On top of that, the Huawei P10 Plus is the world's first smartphone with 4.5G LTE support. It also has IR Blaster that can be used as a remote for TV, air-conditioner, and etc.